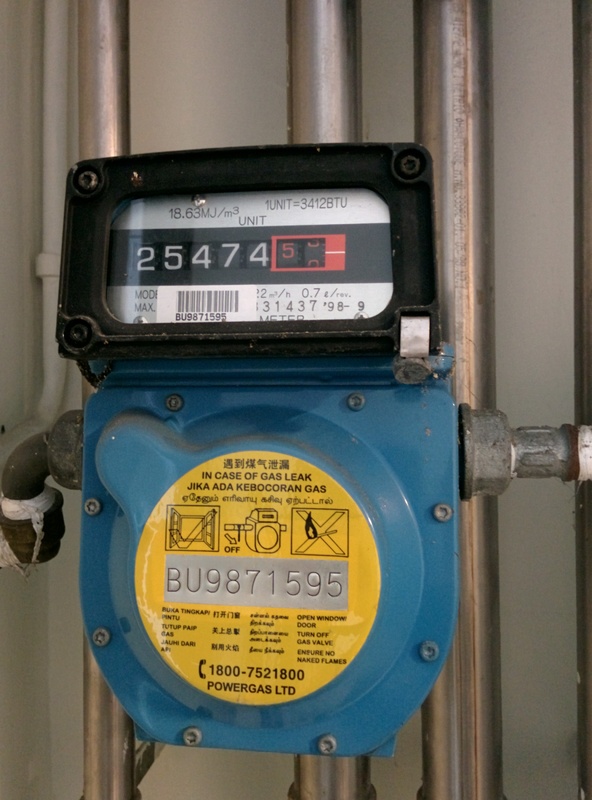 Our gas reading for the gas meter is in cubic meter but SP Services will charge us in kWh which is normal. But SP Services does not share the formula on how this is converted to kWh. I am now pushing SP Services to reveal this formula to the customers at large in Singapore. We know the meter cube use through our gas meter and the kWh conversion factor which is 3.6. But we do not know the volume correction factor and calorific value. We need to know the calorific value which is the amount of energy given off when burnt. This value is different for the different gas suppliers in your country. SP Services has wrote back to me about the conversion of cubic meter into kWh. They used conversion factor of 5.175 to convert cubic meters to units (kWh). Now, you should know the amount of cubic meter that your household is using for your pipe gas from the SP Services Bill. We also help customers to analyse their energy bills and also how to reduce them in your home. Dear blogger, SP might be wrong in this case. “Our gas reading for the gas meter is in cubic meter but SP Services will charge us in kWh which is normal” is not normal in your figure. The unit of the meter in the figure is already kWh. As stated on the panel, 1UNIT=3412BTU(=1kWh). And the panel states that the UNIT of the meter is 3412BTU. The 18.63MJ/m^3 on the panel states the hidden conversion formula of the meter, which means 1 meter cube gas = 18.63 MJ heating value = 18.63MJ * 0.27778 kWh/MJ=5.175 kWh. That means the meter already convert the flow rate of the gas to heating value. Thanks for your valuable advice on the above matter. I will update the post to share with other users. Most people will just pay without asking the rationale behind the charging mechanism.